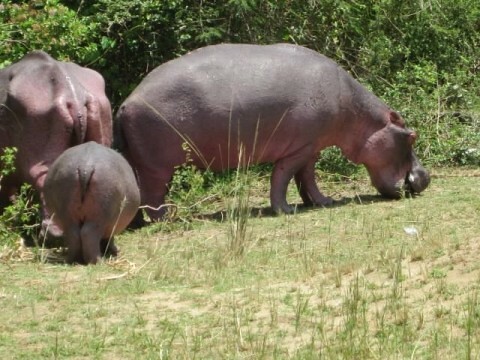 A hippopotamus adult and two young charges graze on fresh grass. Photo taken by Jack Traeger on an Ujuzi safari to Tanzania. Hippo adults and baby graze on the banks of a river. 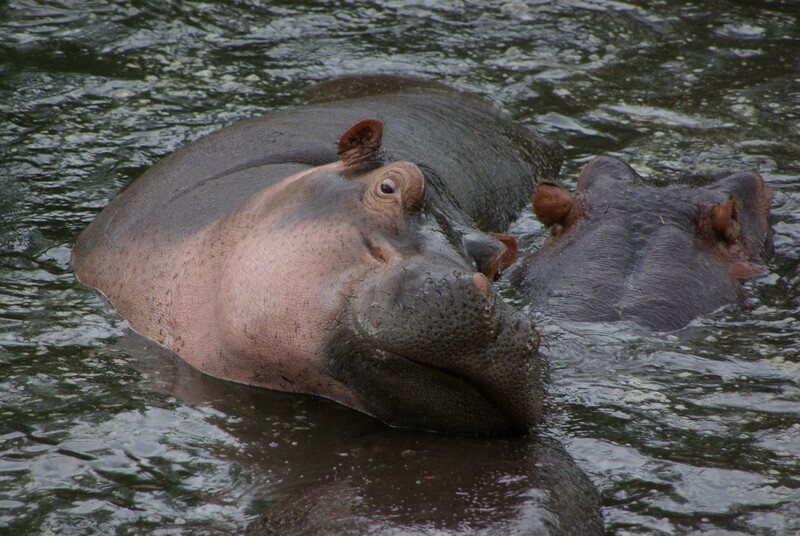 Photo taken on an Ujuzi safari.